There are almost as many types of handsaws as there are building materials to cut! This is a crash course on some of the most common cutting tools and their most effective uses. Everyone knows the traditional handsaw, with its long, wide blade and sturdy handle. But not everyone knows there’s more than one type of handsaw. In fact, there are dozens, each designed for its own specific purpose. Take hacksaws. 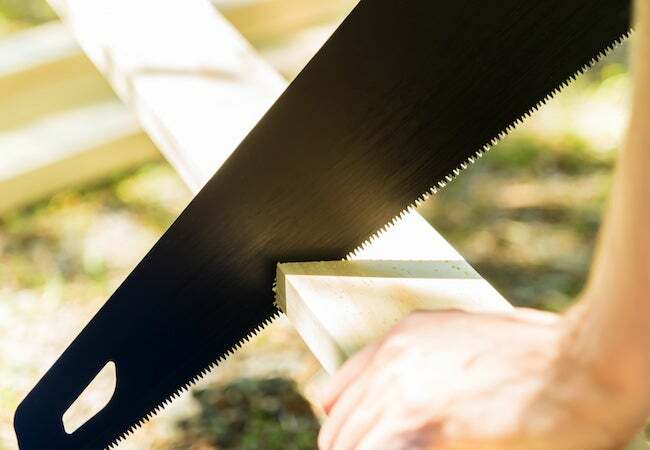 With their U-shaped frames and thin, interchangeable blades, hacksaws aren’t well suited to every task on your to-do list, but they’re great for cutting metal pipes and PVC. Coping saws—shorter versions of hacksaws—feature sprung steel frames that allow you to tighten or loosen the blade. That’s what makes them the go-to for cutting intricate patterns in woodwork. Keyhole saws have pistol-shaped handles and are narrow at the end of the blade—just the thing for cutting small-diameter holes. Yet another type: pruning saws. Like the keyhole saw, the pruning variety usually has a pistol-shape grap, but its coarse blade makes it superior for ripping through green wood. Then there are highly specialized saws for cutting wallboard, paneling, flooring… you name it. One good way to get familiar with wide variety of handsaws available is to visit your local home improvement center. You’ll be amazed at the number of options!